This week FrostClick & FrostWire bring you a debut album from The Scribblenauts – a talented hip-hop trio out of Boston. Each of them has been pursuing a solo career before these friends decided to combine their musical abilities to create an even better product. Their debut album is a mature and well composed release. Each track was easy to listen to and there was no unnecessary attempt at going over the top. The entire album comes out as enjoyable, honest and relatable because every element was brilliant on its own – the beat, the voice, and the lyrics. It’s a hip-hop album that gave justice to the genre, something that some emerging hip-hop groups are not able to do. “Low Light Turbulence” is comprised of tracks that will wake up every sleepy nerve in your head. Its intense beats and lyrics that seem to invite you for an honest conversation are best played in the morning or in a lazy afternoon for a jolt of fresh energy. My personal favorites are “Sands of Time” and “Let Me Down” because it best shows how turbulence in music can be low and light – there just has to be a very good combination of rhythm, vocals and words. The three talented Boston-bred hip-hop veterans that make up The Scribblenauts bring a wide spectrum of musical variety to the table. What started out as friendships and casual music collaboration has evolved into a powerful trio that boasts power, passion and realness. Describing music as having a serious passion sounds cliche, but The Scribblenauts are a group of friends that came together to make passionate music that drives home their strong points of interest. H.W., Redlist and DJ Emoh Betta (of the Deck Demons) all live within a 10 mile radius of each other and are actually real life friends. The music they create together is a departure from their own prospective solo careers that have come into shape. Their debut album “Low Light Turbulance” takes a journey into the minds of three humans struggling to grow up and prosper. The lyrics depict and speak to the downtrodden and desperate who hang by a limb everyday of their life. Over Redlist’s hard and grimy production, The Scribblenaut’s lyrics channel the views of people who have felt lost and misunderstood. When you sit down and listen to a record, you anticipate warmth from the sounds vibrating within the speakers. You expect soul from the emcees who are pouring out their hearts over rhythms. And most importantly, you want to feel a connection to the art that is being displayed before you. Passion is a strong word to use for any description, but with the first listen you can hear that passion driving behind the sound of The Scribblenauts. 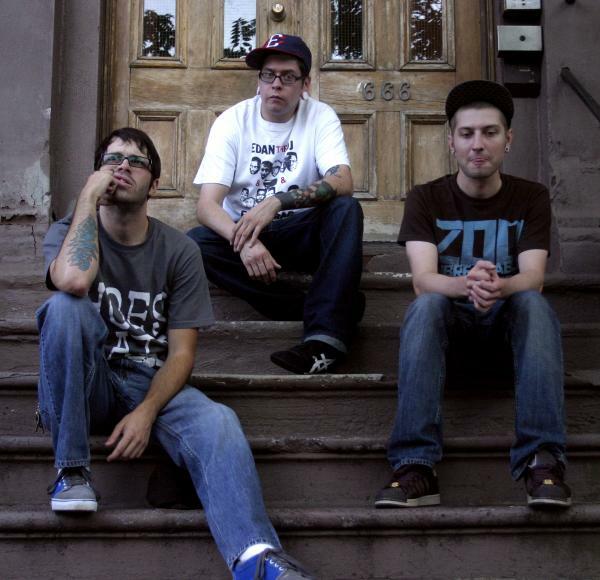 They have shared the stage with many others in the US and abroad, some of the artist they’ve played shows with Eyedea And Abilities, Themselves (Anticon), Solillaquists Of Sound (Anti Records), Cage, Sole (Anticon/FakeFour Records). Awol One (FakeFour Records), Ikon The Mic King, Pierre The Motionless (France), Tame One(currently signed with Amalgam Digital), Brzowski (milled pavement records), RADIx (Early Spotter Records, has gotten coverage on MTV2, Urb Magazine), Akrobatik (Fat Beats Records), Access Immortal (Early Spotter Records), Chachi, Dez (FingerPrint Records), Joey Beats, Poorly Drawn People and Labeless Illteligence. can anyone say name change? Whats wrong with the name? Man, ya’ll boy is raw. My favorite is ‘Harder to Be’. Awesome that it was the whole album to download! is that the best you can do to insult the name? step your game up!